Following Black Panther and the upcoming Captain Marvel, Disney continues its diversification of Marvel Studios now with a Shang-Chi movie, the first superhero movie with an Asian protagonist. Deadline offers up Marvel Studios has set Chinese-American writer Dave Callaham to write the screenplay, with a number of Asian and Asian-American directors being looked at. It's reported that Marvel Studios is attempting to do something similar with Shang-Chi that they did with BlackPanther: "introduce a new hero who blends Asian and Asian American themes, crafted by Asian and Asian American filmmakers." The article also notes an important theme for Kevin Feige in his upcoming MCU movies will be ethnic diversity and inclusion, in front of and behind the camera. Dave Callaham is known for writing Wonder Woman 1984, he is writing Sony’s animated Spider-Man: Into the Spider-Verse sequel, wrote initial drafts of Zombieland 2, Amazon'sJean-Claude Van Johnson, created The Expendables franchise, with a fourth movie in the works, and also wrote the story for the latest version of WB and Legendary's new Godzilla that was released in 2014. In the comics, Shang-Chi was created back in 1973 as an answer to the David Carradine Kung Fu TV series and Bruce Lee from Steve Englehart and Thanos-creator Jim Starlin. The character at times has been associated with the Secret Avengers, Heroes for Hire, MI-6, Freelance Restorations, the "Marvel Knights" line and even the Avengers. 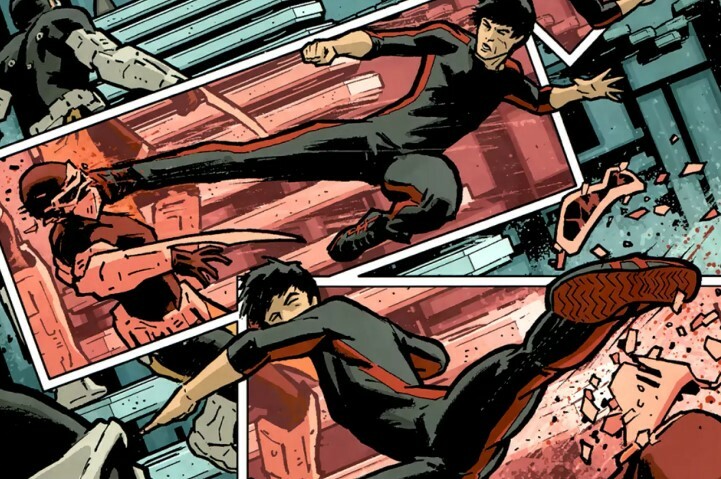 Also known as the "Master of Kung Fu," Shang-Chi is an extraordinary master of numerous unarmed and weaponry-based wushu styles, including the use of the gun, nunchaku, and jian. He later, upon joining the Avengers, ultimately gains the power to create countless duplicates of himself. Interestingly enough, word of a Marvel StudiosShang-Chi movie follows Marvel TV's Netflix show Iron Fist getting canceled. Currently in development at Marvel Studios also includes a solo Black Widow movie, a Black Panther sequel and Eternals, with Disney+ streaming TV series for Tom Hiddleston as Loki, Elizabeth Olsen as Scarlet Witch, and a team-up featuring Anthony Mackie as Falcon with Sebastian Stan as Winter Soldier.